Happy Tuesday! Thanks for coming to visit to check out the new challenge from the SHOPPING OUR STASH crew. This week's theme is Let it Snow we want to see snow, snowmen, something snow related on your project. 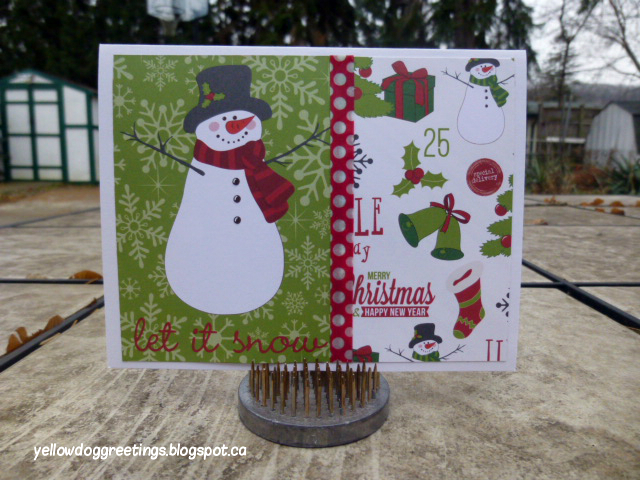 Here's the card I made for the challenge, talk about shopping your stash, this was a card kit I got in December 2014 and hadn't even cracked open...why not? I love the papers and the colours and the cute little stickers...sheesh. 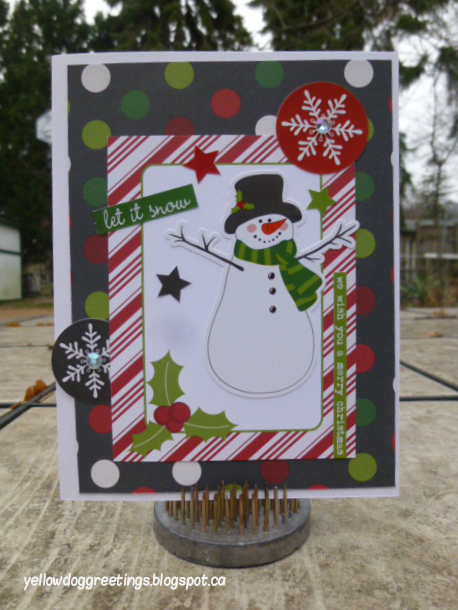 I had so much fun making that card, I used the kit to make 2 more snowman themed cards. Check out the SHOPPING OUR STASH BLOG for all the details on the challenge and while you are there please join in the fun! Play along with us and visit the blogs of the rest of the crew to share some crafty love!! One good thing about a kit is it comes with ideas. CASEing those ideas is what you do! In my world, I'd have stowed that kit for a year or more, too, but I'm glad you've opened yours! Great cards! All three projects are great! I have never used a kit, but might have to give one a try! Nicely done! Lol! You were clearly saving that kit for the right moment! Looks like you had fun with it too! I see why you've been hoarding that kit - those papers and embellies are fabulous! Way to crank out three awesome cards! 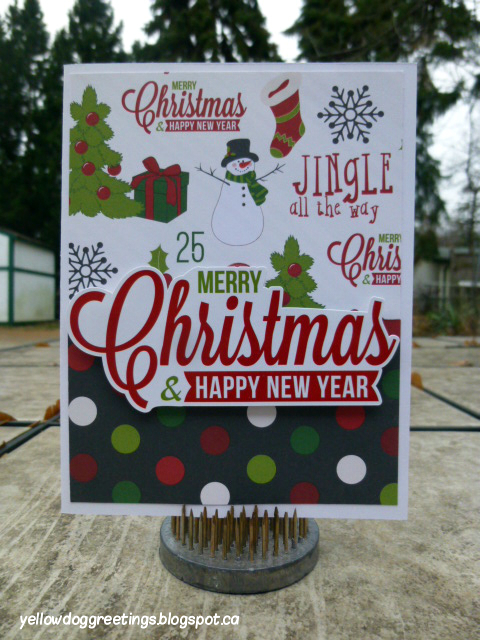 What adorable holiday designs Donna. You were simply waiting for just the right excuse to crack open the kit, obviously! Great trio of cards.